Captain Price received his commission in August 1968 after completing Officer Candidate School in Newport, Rhode Island. He served as Commanding Officer, Naval Reserve Officer Training Corps, Marquette University from August 1994 to November 1997, as Commanding Officer, Naval Computer and Telecommunications Area Master Station, Mediterranean from October 1992 to July 1994, as Commanding Officer, U.S. Naval Computer and Telecommunications Station Spain from July 1989 to September 1992, and as Commanding Officer, USS FORD (FFG 54) from May 1987 to May 1989. Additional sea duty assignments included Executive Officer of USS WADDELL (DDG 24), Chief Engineer of USS OUELLET (FF 1077), Communications Officer of USS GEARING (DD 710), Aide and Flag Lieutenant for Commander Amphibious Group TWO, Chief Staff Officer for Commander Destroyer Squadron SEVENTEEN, and duty on the Command in Chief Pacific Fleet’s staff as an inspector for the 1200 PSI Propulsion Examining Board. Captain Price served ashore as Head of the Combat Systems Support System Branch, Office of the Chief of Naval Operations. Captain Price holds a Bachelor of Science Degree in Finance from Indiana University, a Master of Science Degree in Communications Management from the U.S. Naval Postgraduate School, and is a graduate of the Industrial College of the Armed Forces, Washington, D.C. 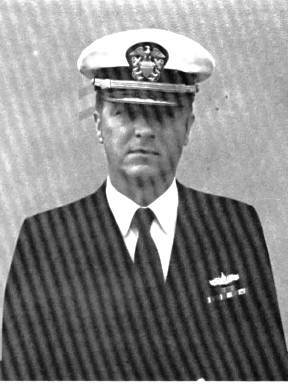 He has been awarded the Legion of Merit (with gold star in lieu of a second award), the Meritorious Service Medal (with gold star in lieu of a second award), the Navy Commendation Medal (with gold star in lieu of a second award), and the Navy Achievement Medal. Since his retirement in November 1997, Captain Price has supported the Director, Surface Warfare, Office of the Chief of Naval Operations in development of the Land Attack Warfare mission area. He is currently employed by Strategic Insight, Arlington, Virginia. Captain Price is married to the former Patricia Wells of Elkhart, Indiana. They reside in Herndon, Virginia. Their daughter, Karen, a graduate of Virginia Commonwealth University, lives in Richmond, Virginia.